About four months ago, I wrote a letter to my bank. I didn't email it, I just printed it in the usual way and posted it first class. Suddenly, about a week later, I found my bank account almost empty! How? This person did not know that they had the Win32.SubSeven virus. This had sent a copy of their letter to somebody in Russia without them knowing. It had done this using their Internet connection when they used the Internet two days after to look up prices of a holiday. The person who received the information in the letter they had written, found personal details and bank account details, which they used to contact the bank and effect a transfer of money. The bank did not accept liability, and the person lost their money. FICTION: You don't need anti-virus because most people never get them. The pure naivity of this statement never ceases to amaze. We have also encountered many systems where people make this statement, only to find they have hundreds of viruses on their system which they didn't know about, which have been quietly sending their files to remote computers. One even was the victim of identity fraud, which fortunately Magimedia picked up in time to prevent any damage being done. Another statement, which could be considered irrisponsible, is that people who don't do anything serious on their PC do not need anti-virus. Some people do not realise that their computer, whilst not containing valuable information itself, could be remotely controlled by a criminal to undertake crime. FACT: If your computers does not have the basic up-to-date Anti-Virus and Firewall software installed, it could be used in organised crime without you knowing. A compromised machine is one that has become infected with the appropriate virus or trojan software, allowing it to be controlled by a remote user. This control can, and often is, done without the knowledge of the computer's owner. A compromised computer, or group of computers, can be used to attack a system containing very valuable information, such as a banks systems or company's database system. The compromised computer can also be used to host illegal software, music or video, supplying it illegally to others. When the illegal activity is traced back by the authorities, it would be the compromised machine that is traced and subsequently blamed, and not the real criminal. It can sometimes be difficult to prove you were not the person responsible. FACT: There are thousands of viruses around, which are on web pages or can be sent to you via email. If you get one, you may not even know. We hope you never encounter one, but we know from experience that if you do, you need the right protection. We also know that you can have some very serious viruses, and not even know! ...unless of course, you have the right protection. 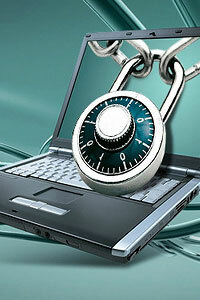 The most effective, and dangerouds viruses, are the ones that can go completely undetected. Their purpose is often to send your information to another person without your knowledge, so that the information can be used for identity theft or fraud. It's just not true to think that because your computer is working that there can be nothing wrong. There are viruses which can sit in the background, undetected, sending every single keystroke you make and every mouse movement, to a remote computer that records it all. That information could be used in any way that the recipient sees fit. ALL THIS CAN BE PREVENTED! Simply get Magimedia to install an effective Anti-Virus and Firewall system, and ensure it is properly configured. We can then teach you how to check it is keeping up to date, and you can relax in the knowledge you are protected.